Looking for an affordable hair regrowth system? It may not be this one. Keranique® Hair Regrowth System has a suggested retail price of $115. 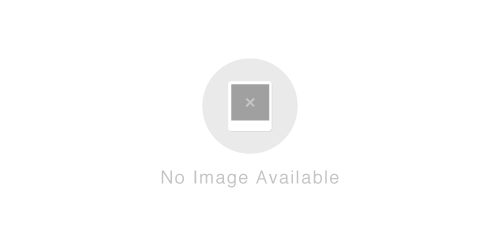 This is highly expensive especially for a product that can be time consuming since multiple steps are involved in order to achieve hair regrowth. There are alternative approaches on the market that are sold for less than $40 and even offer Buy 2, get 1 Free specials unlike this product. Keranique® Hair Regrowth System contains four steps (shampoo, conditioner, lift & repair spray treatment and a hair regrowth treatment). Be sure to review the direction section for each product to obtain results if results may occur. Keranique® Hair Regrowth Treatment: Apply one ml. with dropper 2 times a day directly onto the scalp in the hair loss area. Using more or more often will not improve results. Continued use is necessary to increase and keep your hair re-growth, or hair loss will begin again. Must wash hands after use. Keranique®Scalp Stimulating Shampoo: Massage into wet hair and scalp. For best results, allow the product to sit for 3 - 4 minutes. Rinse hair thoroughly. Follow with Keranique Volumizing Keratin Conditioner. 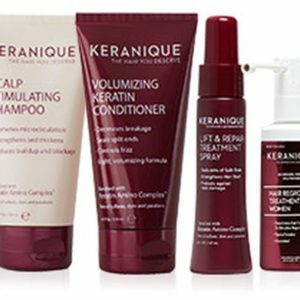 Keranique® Volumizing Keratin Conditioner: Work a small amount into damp hair. Run through hair thoroughly from scalp to ends. For best results, allow the product to sit for 3 - 4 minutes. Rinse hair thoroughly. Towel dry hair. Follow with your choice of either Keranique Hair Regrowth Treatment, featuring 2% minoxidil, or Follicle Boosting Serum for thicker and fuller looking hair. Keranique® Lift & Repair Treatment Spray: Towel dry hair. Apply Keranique™ Volumizing Lifting Spray to roots of hair. Using fingers, distribute product from roots to ends. For added lift and volume, blow-dry hair using medium setting turning head upside down and using fingers to open up sections while blow-drying hair. Increase number of sprays for added lift and expansion. Continue to blow dry until completely dry. Keranique® Hair Regrowth Treatment :Minoxidil 2%, alcohol, propyleneglycol, purified water. Keranique®Scalp Stimulating Shampoo: Water (Aqua), Disodium Laureth Sulfosuccinate, Sodium Lauryl Sulfoacetate, Sodium Cocoyl Isethionate, Lauramidopropyl Betaine, PEG-7 Glyceryl Cocoate, Sodium Lauroyl Sarcosinate, Decyl Glucoside, Polyquaternium-7, Polyquaternium-11, Panthenol, Disteareth-100 IPDI, lPanax Ginseng Root Extract, Glycerin, Mentha Piperita (Peppermint) Oil, Methoxy PEG/PPG-7/3 Aminopropyl Dimethicone, Menthol, Hydrolyzed Soy Protein, Sodium Lauroyl Oat Amino Acids, Hydrolyzed Vegetable Protein PG-Propyl Silanetriol, PEG-12 Dimethicone, Biotin, Guar Hydroxypropyltrimonium Chloride, Zea Mays (Corn) Starch, Zinc Gluconate, Ornithine HCl, Niacinamide, Hydrolyzed Ceratonia Siliqua Seed Extract, Glucosamine HCl, Calcium Pantothenate, Arginine, Citrulline, Arctium Majus Root Extract, Acetyl Tyrosine, Quaternium- 95, Dipropylene Glycol, Disodium EDTA, Propanediol, Citric Acid, Phenoxyethanol, Potassium Sorbate, Chlorphenesin, Methylisothiazolinone. Keranique® Volumizing Keratin Conditioner: Water (Aqua), Cetearyl Alcohol, Behentrimonium Chloride, Cetyl Alcohol, Isododecane, Cetrimonium Chloride, Quaternium 91, Polyquaternium-7, Polyquaternium-11, Panax Ginseng Root Extract, Panthenol, Glycerin, Mentha Piperita (Peppermint) Oil, Caprylic/Capric Triglyceride, PPG-3 Benzyl Ether Mryristate, Menthol, Methoxy PEG/PPG-7/3 Aminopropyl Dimethicone, Hydrolyzed Vegetable Protein PG-Propyl Silanetriol, Guar Hydroxypropyltrimonium Chloride, Quaternium-95, PEG-12 Dimethicone, Hydrolyzed Keratin, Keratin, Stearamine Oxide, Biotin, Hydrolyzed Soy Protein, Amodimethicone, Hydrolyzed Ceratonia Siliqua Seed Extract, Octocrylene, Hydroxyethylcellulose, Butyl Methoxydibenzoylmethane, Sucrose Laurate, Inulin Lauryl Carbamate, Zinc Gluconate, Zea Mays (Corn) Starch, Ornithine HCl, Niacinamide, Glucosamine HCl, Citrulline, Calcium Pantothenate, Arginine, Arctium Majus Root Extract, Acetyl Tyrosine, Propanediol, Dipropylene Glycol, Citric Acid, Disodium EDTA, Phenoxyethanol, Benzyl Alcohol, Potassium Sorbate, Chlorphenesin, Methylisothiazolinone. Keranique® Lift & Repair Treatment Spray: Water (Aqua), Polyester-5, PEG-12 Dimethicone, Glycerin, Quaternium-95, Xanthan Gum, Hydrolyzed Vegetable Protein PG-Propyl Silanetriol, Chondrus Crispus (Carrageenan) Extract, Caprylic/Capric Triglyceride, Laminaria Digitata Extract, Behentrimonium Chloride, Hydrolyzed Ceratonia Siliqua Seed Extract, Zea Mays (Corn) Starch, Polyquaternium-7, Guar Hydroxypropyltrimonium Chloride, Keratin, Hydrolyzed Keratin, PEG-40 Hydrogenated Castor Oil, Panax Ginseng Root Extract, Cystine Bis-PGPropyl Silanetriol, PPG-26-Buteth-26, Dipropylene Glycol, Polyquaternium-11, PEG-12 Dimethicone, Mentha Piperita (Peppermint) Oil, Panthenol, Butyl Methoxydibenzoylmethane, Octocrylene, PPG-5- Ceteth-20, Menthol, Calcium Pantothenate, Niacinamide, Inulin Lauryl Carbamate, Acetyl Tyrosine, Hydrolyzed Soy Protein, Glycogen, Mannitol, Biotin, Arginine, Arctium Majus Root Extract, Zinc Gluconate, Ornithine HCl, Citrulline, Propanediol, Glucosamine HCL, Sucrose Laurate, Disodium EDTA, Phenoxyethanol, Caprylyl Glycol, Potassium Sorbate, Benzyl Alcohol, Chlorphenesin, Sodium Benzoate. It appears that the hair regrowth treatment in this system contains Minoxidil 2% and the FDA Approved formula for hair regrowth. However, this system is not cost-effective and does not offer Buy 2, get 1 Free specials at this time. Be sure to compare Keranique® Hair Regrowth System to other options that may be more affordable and are a one step application option.